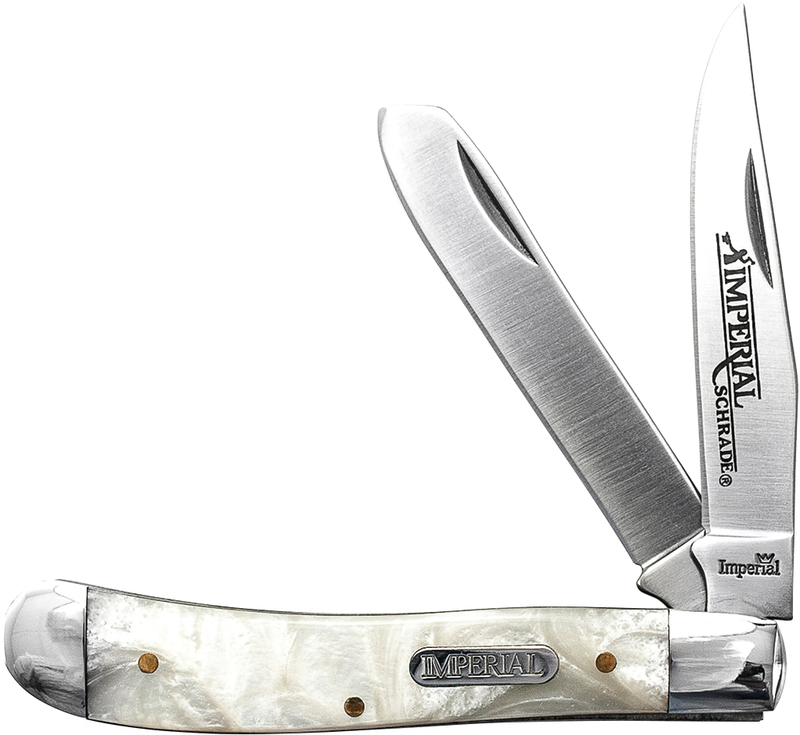 IMP1011 - Schrade Imperial Cracked Ice Small Canoe. 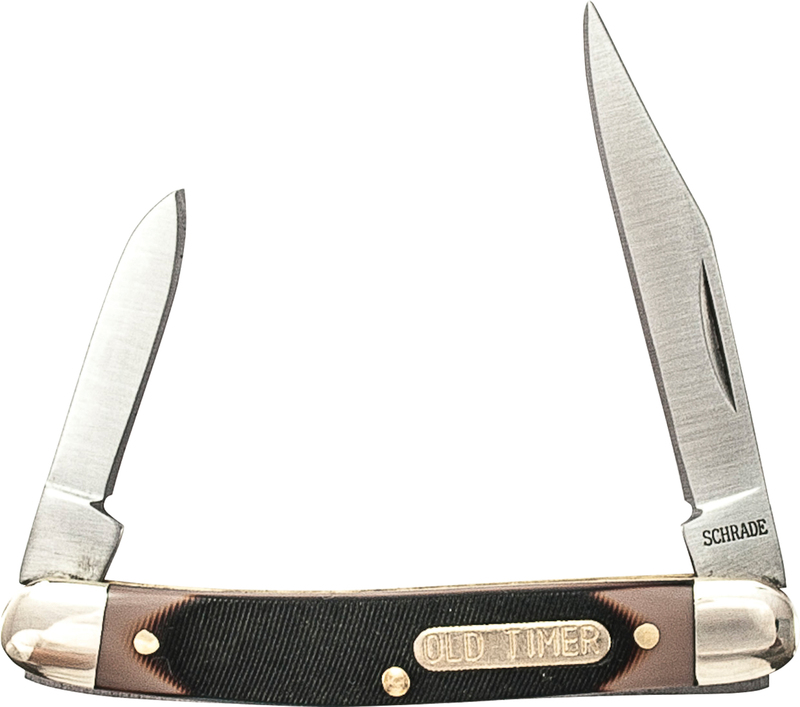 3Cr13 Steel. 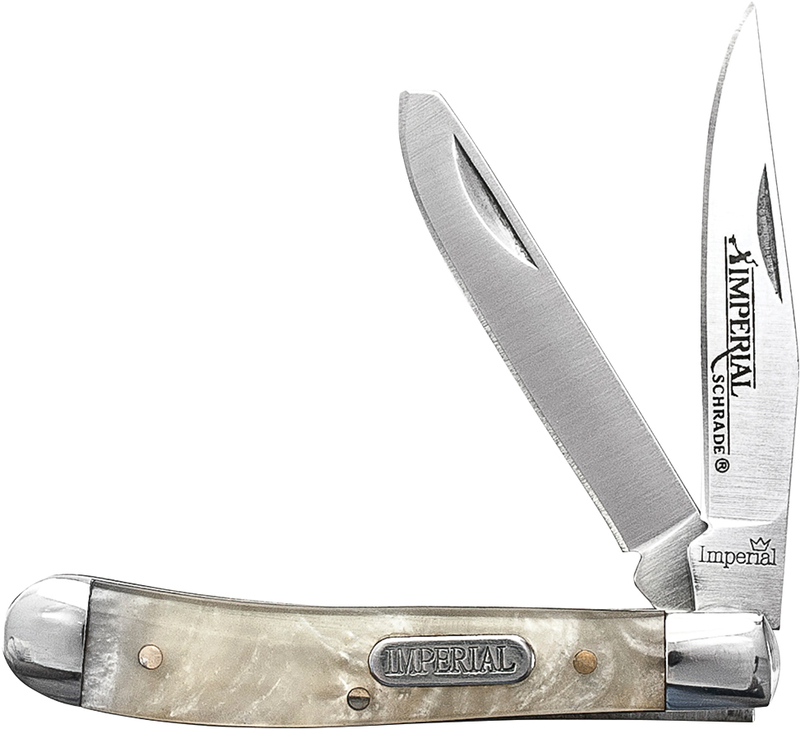 IMP11 - Schrade Imperial Cracked Ice Large Canoe. 3Cr13 Steel. 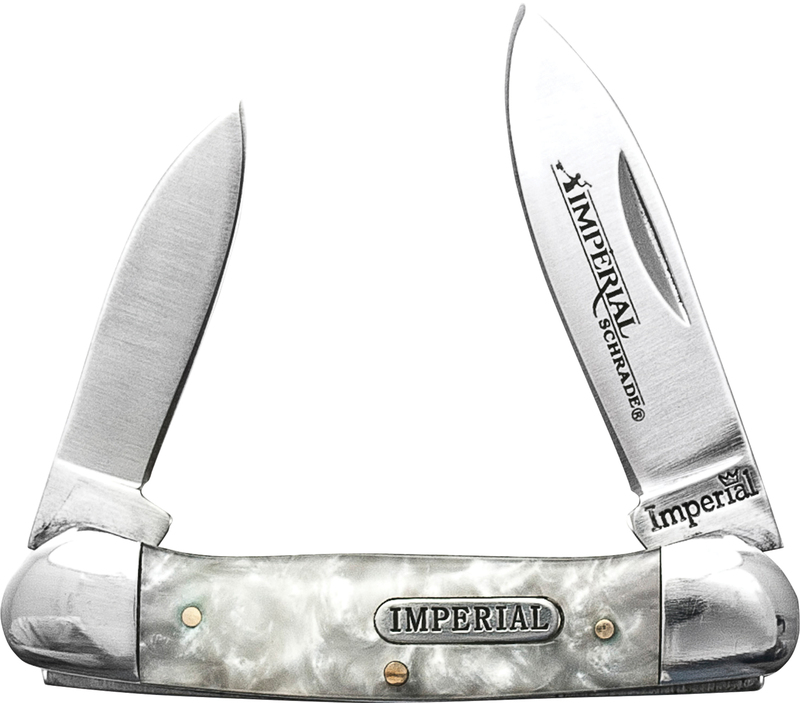 IMP13 - Schrade Imperial Small Trapper w/Cracked Ice Handle. 3Cr13 Steel. 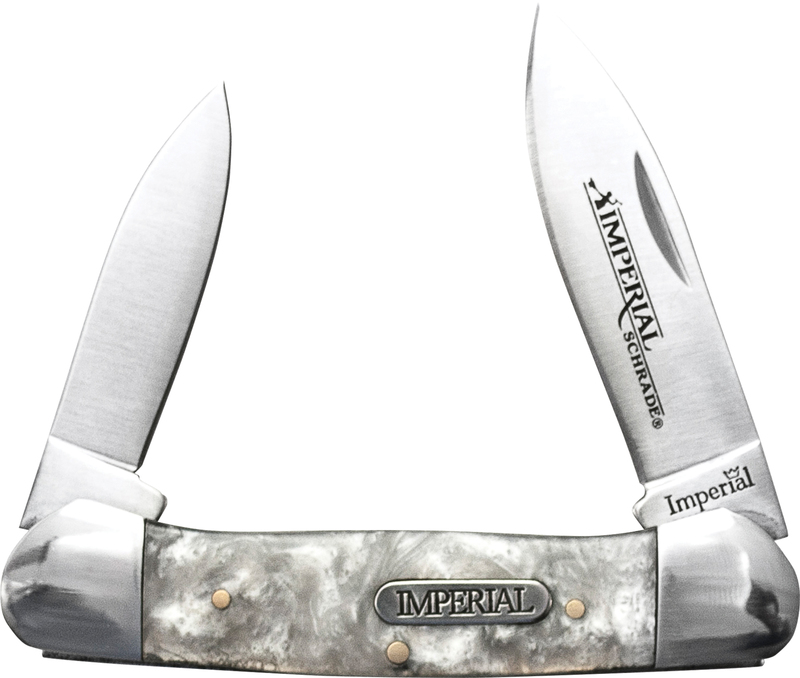 IMP13L - Schrade Imperial Stainless Steel Large 2 Blade Pocket Knife. 3Cr13 Steel. 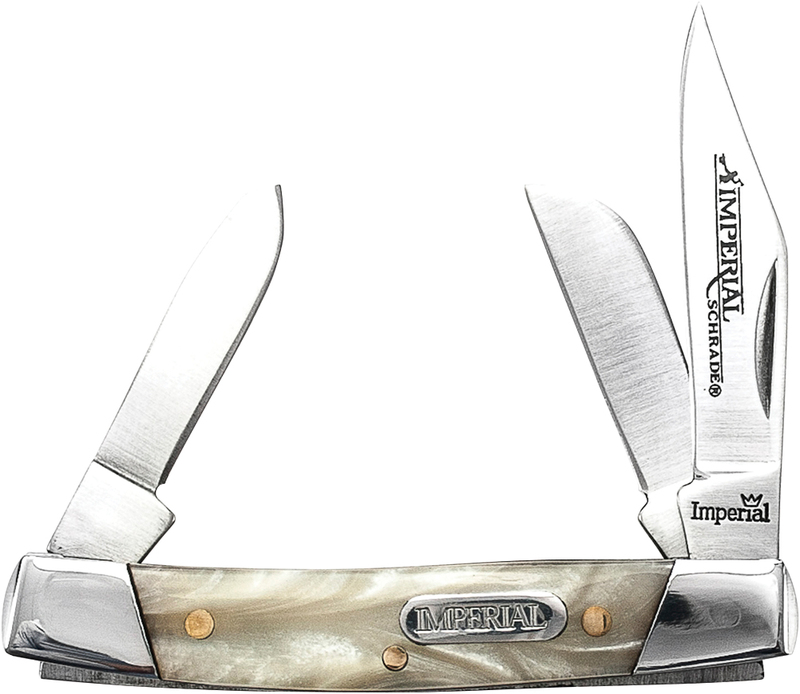 IMP14 - Schrade Imperial Stainless Steel 3 Blade Pocket Knife. 3Cr13 Steel.